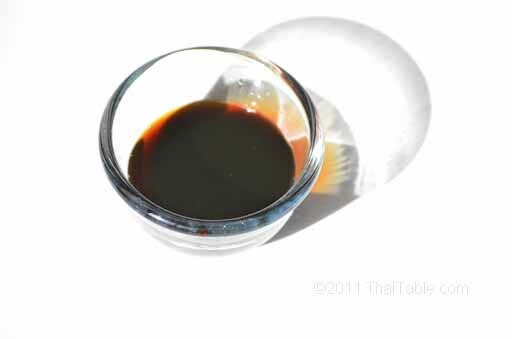 Dark soy sauce or see ew dum in Thai is dark brown. It great for marinade because of the rich flavor or when you need to give the food some color. For example, dark soy sauce gives Pad See Ew its rich, dark brown color.